With the launch of many flagship devices featuring it, USB Type-C is finally becoming the norm this year, thank goodness. The only downside to this, for pretty much every old school Android user, is we now have to upgrade all of our microUSB accessories. It’s not the most difficult process, but as you will see from the latest Belkin offering, it certainly isn’t the cheapest. 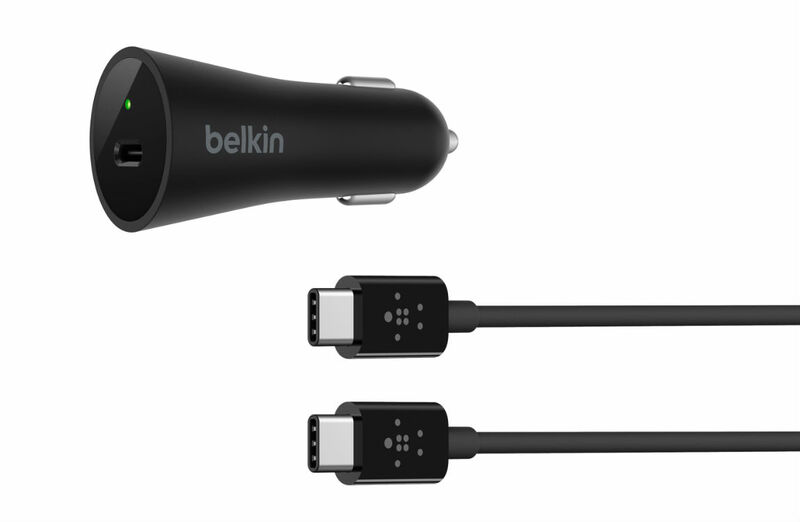 Belkin’s USB Type-C car charger, which includes a Type-C cable, is priced at $50 on their website. Sure, there are more expensive accessories for your smartphone, but damn, $50 for a car charger? If you browse through Amazon, I would say that the average price of a USB Type-C car charger is around $15, so to see Belkin price theirs at $50, this must be one helluva charger. We can only assume that this isn’t some rinky-dink charger, right? As listed on Belkin’s website, the charger features input surge protection, as well as a USB power delivery chipset, ensuring your car does not fry your smartphone. Additionally, the USB Type-C car charger features a universal compatibility chipset, common mode noise filter, and power switching controller. That’s quite a few features for a car charger. Check out the full list of features below, then if you feel that this car charger will serve you well for $50, follow the purchase link below. An Amazon link has also been added, but the product does not appear to be live quite yet. Once it is, we will update the post with a link to it.